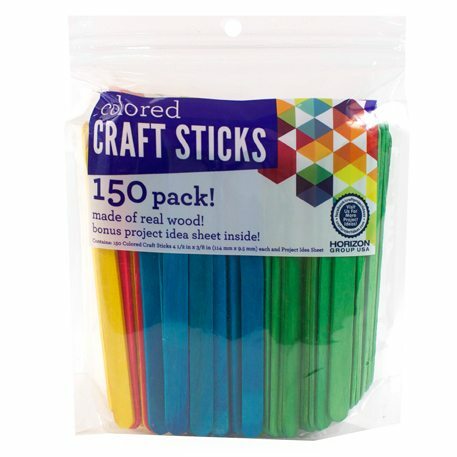 No painting required with these colored wood craft sticks! Wood craft sticks are perfect for both children and adult arts and crafts projects. Glue sticks together to build log cabins, wooden wagons, or craft paper-dolls. Great for school craft activities and home arts and crafts too! Package includes 150 pieces. Colors include red, yellow, green and blue.